Mohammad A. Nossair, Diaa E. AbdAllah. A total of 184 serum samples were collected including; 92 from slaughtered cattle (23âˆ• season) in Abo El Matameer Abattoir, and 92 from random human patients attending a private laboratory in Abo El Matameer District, Behera Province to be examined for presence of antibodies against F. hepatica. Cattle samples were examined by Distomiasis Fumouze kits® (ready to use indirect haemagglutination test kits) and it was found that the total prevalence was 9.8 %. The seasonal prevalence of F. hepatica infection in examined serum samples of cattle revealed that winter and spring seasons showed the highest seasonal prevalence followed by summer season and males (10.8 %) were higher than females (7.4 %). In addition, the highest prevalence was observed in the age group 2 - 4 years (18.18 %) followed by the age group > 4 years (5.88 %). On the other side, the overall detection rate of F. hepatica infection in human was 13.04 % and the highest seasonal prevalence was noticed in winter season (21.74 %) followed by summer and spring season. The sexual distribution of the positive reactors to F. hepatica in human revealed higher prevalence in females (13.3 %) than in males (12.9 %) and the age group 20 - < 40 years (24.4 %) showed the highest prevalence followed by the age group 40 - < 60 years (22.7 %). Ansari-Lari, M. Moazzeni, M. 2006. A retrospective survey of liver fluke disease in livestock based on abattoir data in Shiraz, south of Iran. Prev. Vet. Med. 16: 73 (1):93-96. Apt, W., Aguilera, X., Vega, F. Apt, P. 1992. Fascioliasis in population of rural areas with high prevalence of animal infection. Rev. Med. Chil., 120 (6): 621-626. Curtale, F., Mas-Coma, S., Hassanein, Y. A., Barduagni, P., Pezzotti, P. Savioli, L. 2003. Clinical signs and household characteristics associated with human Fascioliasis among rural population in Egypt: a case-control study. Parasitol. 45(1):5-11. El-Shazly, A. M., El-Nahas, H. A., Abdel-Mageed, A. A., El Beshbishi, S. N., Azab, M. S., Abou El Hasan, M., Arafa W. A., Morsy, T. A. 2005. Human Fascioliasis and anemia in Dakahlia Governorate, Egypt. J. Egypt. Soc. Parasitol., 35 (2):421-432. EL-Shazly,	A.	M., El-Wafa,	S.	A., Haridy,	F.M., Soliman, M., Rifaat, M. M., Morsy, T. A. 2002. Fascioliasis among live and slaughtered animals in nine centers of Dakahlia Governorate. J. Egypt. Soc. Parasitol. 32(1):47-57. Freites, A., Colmenares, C., AlarcÃ³n-Noya, B., GarcÃ­a, M. E., DÃ­az-SuÃ¡rez, O. 2009. Human fascioliasis in Mara municipality, Zulia state. Venezuela: prevalence and associated factors. Invest. Clin. 50 (4):497-506. Geurden, T., Somers, R., Thanh, N. T., Vien, L.V., Nga, V. T., Giang, H. H., Dorny, P., Giao, H. K., Vercruysse, J. 2008. Parasitic infections in dairy cattle around Hanoi, Northern Vietnam. Vet. Parasitol. 31,153(3-4):384-388. GonzÃ¡lez, L. C., Esteban, J. G., Bargues, M. D., Valero, M. A., Ortiz, P., NÃ¡quira, C. Mas- Coma, S. 2011. Hyperendemic human Fascioliasis in Andean valleys: an altitudinal transect analysis in children of Cajamarca province, Peru. Acta. Trop. 120 (1- 2):119-129. Haridy, F. M., El-Sherbiny, G. T., Morsy, T. A. 2006. Some parasitic flukes infecting farm animals in Al- Santa Center, Gharbia Governorate, Egypt.J. Egypt. Soc. Parasitol. 36(1):259-264. Haridy, F. M., Ibrahim, B. B., Morsy, T. A., El- Sharkawy, I. M. 1999. Fascioliasis an increasing zoonotic disease in Egypt. J. Egypt. Soc. Parasitol. 29(1):35-48. Haseeb, A. N., El-Shazly, A. M., Arafa, M. A., Morsy, A. T. 2002. A review on fascioliasis in Egypt. J. Egypt. Soc. Parasitol. 32(1):317-325. Holland, W. G., Luong, T. T., Nguyen, L. A., Do, T.T., Vercruysse, J. 2000. The epidemiology of nematode and fluke infections in cattle in the Red River Delta in Vietnam. Vet. Parasitol. 10, 93 (2):141-147. Koz&#322;owska-&#321;Ã³j, J. 2011. Prevalence of Fasciola hepatica infection in cattle in the Lublin province (Poland) in the years 2005-2008. Wiad Parazytol. 57(2):127-138. Marie, K. M. 1992. The zoonotic importance of Fascioliasis at Alexandria province. M.V.Sc. Thesis (Zoonoses) Fac. Vet. Med. Alex. Univ. Martinez, A., Martinez-Cruz, M. S., Gutierrez, P. N., Hernabdez, S. 1996. Detection of antibodies to Fasciola hepatica excretory&#8211;secretory antigens in experimentally infected goats by enzyme immunosorbent assay. Vet. Parasitol. 62: 247&#8211;252. Ozturhan, H., EmekdaÃ¾, G., Sezgin, O., Korkmaz, M. AltintaÃ¾, E. 2009. Seroepidemiology of Fasciola hepatica in Mersin province and surrounding towns and the role of family history of the Fascioliasis in the transmission of the parasite. Turk. J. Gastroenterol., 20(3):198-203. Phiri, A. M., Phiri, I. K., Siziya, S., Sikasunge, C. S., Chembensofu, M. Monrad, J. 2005. Seasonal pattern of bovine Fascioliasis in the Kafue and Zambezi catchment areas of Zambia. Vet. Parasitol. 25; 134(1-2):87-92. Price, A., Tuazon, C. U., Simon, G. L. 1993. Fascioliasis. Case reports and review. Clin. Infect. Dis. (17): 426&#8211;430. Soliman, M. F. 2008. 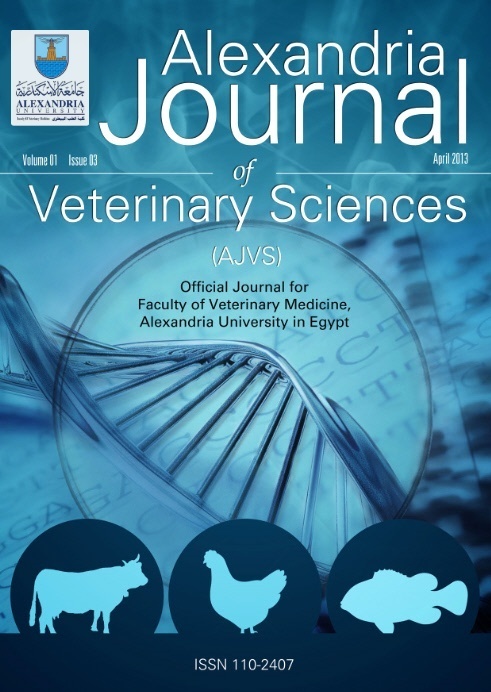 Epidemiological review of human and animal Fascioliasis in Egypt. J. Infect. Dev. (3):182-189. The Journal of Veterinary Medical Science 2018; 80(1): 28.